It's a little hard to see, but the photo in this picture is of my mother. 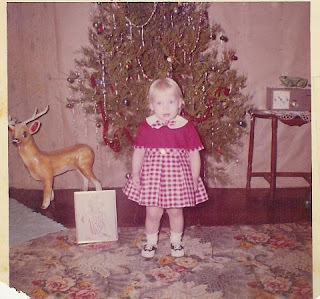 My grandmother and Aunt Linda (who was only 13 at the time) dressed me up in this pretty dress my grandmother made, and put me in front of the tree with my mama's picture to send to my mother, who was in an Indiana TB hospital. I was living with my grandparents in Tennessee. My dad was working as a truck driver, and staying close to my mother and his job. I don't remember much about this. I do remember how much I was just crazy in love with my Granddaddy Warren. I look at the letters my mother saved from my grandmother and my scribbles all over the bottom of them--because I loved to "write." I wrote all over my Aunt Linda's high school yearbook. She wasn't too happy with me. I'm sure it was hard having this baby who not only invaded her life, slept with her in her bed, kept her up at night with this problem and that, but also sort of ruined her social life. You would think that she would have ill feelings toward me even now. But no, my Aunt Linda is probably my closest and dearest friend/relative. She still lives in Tennessee, has a wonderful family and hosts a Christmas breakfast each year. I am missing her this Christmas and marveling at the thought of how she tolerated me. I also look at this photo and think of my poor mom--gravely ill, separated from her husband and baby daughter. She had five miscarriages and then got me. Then not even a year later she gave me to her inlaws and made my grandmother promise to give me back when she got well. What a sacrifice my grandmother made! She once told me that the hardest thing in her life was to give me back to my mother, but I'm so glad she did. While I loved my grandparents just as if they were my parents, my mother was a rare gift to the world and I feel so privileged to have been raised by her. Of course, this causes me to think of Mary. When she found out she was having the son of God, the Savior of the world, it had to be bittersweet to think that someday he would have to return to His Father! What amazing courage she had. It makes me weep to think about the pain, but what an amazing love and sacrifice--and a bittersweet joy. Bittersweet joys are all around us. Don't miss out on joys just because you are afraid of the coming pains. When I was growing up, there were some tough times around Christmas. I tend to block out those thoughts and still fight feeling melancholy around Christmas, even though my situation is much better! But I always have happy thoughts when I think of December 22. 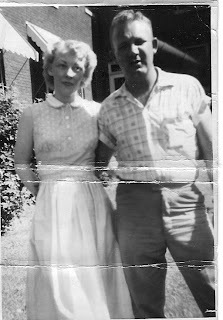 That was the day my parents married in 1951 in Corinth, Mississippi. Both my parents are now dead, but they celebrated 45 years of marriage before my mother died. This is why I feel happy on December 22nd. My dad was a long haul truck driver and often was still on the road on December 22nd before coming home for Christmas. But here is what he would do--no matter where he was in the Midwest, he would stop somewhere, find a phone and call my mother at 12 noon on December 22.Twelve noon straight up is when they got married and he made special effort, long before cell phones, to connect with my mother on that day, but also at the TIME he married her. My dad may have had many issues, but one thing came through loud and clear with this effort--he was crazy about my mother and had a great desire to let her know their connection. So every December 22nd, I sit and reflect on the fact that we have an imperfect life, but there are threads of delight and hope tucked into each one. Situations aren't so wonderful for almost all of us at one time or another, but if we can stop and thank God for one blessing, then life can go on, hold together. We can choose happiness. When I start to spiral down in December...December 22nd comes. And I find myself smiling and thinking that there are threads of hope woven into every life, especially my own. Normally, I don't do reviews of books on this blog. I promote authors and books, but don't do a review. I have published over 800 reviews, so it's not like I don't do them--I do. Usually it has been as part of my job with a magazine. Anyway, I agreed to do this, a real review and it hasn't been easy. I want to just promote the author and let you decide if it's a book you want to read--not tell you what I thought of it! Ok, so here you go. Let them eat cake. Based on the author's own family history, the seventeenth century Clavell family's struggle to hold together their family in the face of religious persecution on order of the "Sun King" Louis XIV proves nearly fatal. Huguenots, or French Protestants who followed teachings by John Calvin, are pillaged, their books burned, and homesteads destroyed, while the children are sent to Catholic schools to be re-educated if they did not convert to the country's religion, Catholicism. It was a time of great peril for families like the Clavells, but Madeleine, lady and wife of Francois, travels to Versailles in order to convince King Louis, her former love as teens, to desist in the pressure to conform to the country's religious practices. Courage and strong convictions are two traits that the Clavells possess that transcend time and cultures to show that some things are worth dying for, worth risking it all for. The more the Clavells try to hang together, the more it appears that the family will be ripped apart at the seams. Parsons shows a strong command of French history and culture in the King's court, as well as storytelling skills that help us to understand the power of prejudice vs. convictions. She demands attention to the emotions tied to our very souls, our heart’s convictions and core beliefs. In similar times would your faith stand? This is one question that Parsons attempts to answer with her own family history. My favorite parts involved the boys who were whisked away to keep them from being "re-educated" and the scenes where action was involved. While it is difficult in this day to imagine Protestants pitted against Catholics, it is not difficult to imagine one group demanding obeisance and exhibiting power plays for reasons other than what God would want of us. May her message be one of choosing tolerance among our society today. Reading group guide and map included, as well as a glossary of French terms. Beautiful read, one of little known religious history and many details of the French court. Here are the questions raised: When those who have power and disagree with you tread into your church, will you have to go underground? Will you sorrow over the books burned? Will you stand strong in your beliefs, even as your children are threatened to be re-educated in another belief, or you are threatened with conformity or death? A few years ago I would not have thought this was something that I would be confronted with in my own country—but these days I am seeing rumblings and so, this may be the book you should read to open your eyes to what persecution could be. Thought provoking and worth a look, and especially if you love French history. I found it to drag in places, and my own emotions weren't always pulled into the story as much as I would have liked, even though I normally love historical fiction like this. However, if you love anything French, language and history, and the affairs of kings and court, you will like this, I assure you. Trish Berg shares on her blog the story behind "I Heard the Bells on Christmas Day" and it hits my mood. I wonder if this is the message all suffering this Christmas should read. It's a thought. If you know someone suffering instead of rejoicing, or you are suffering this Christmas, this song is for you. Which Jane Austin Character Are You? Is Change a Good Thing, Martha? So much has changed for me since the photo above was taken. If I started listing all the changes, there would not be enough room in this blog and I'd blow your mind! But for one thing I now have front teeth. 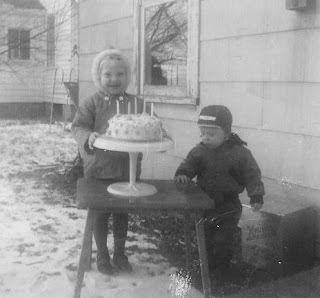 I have five candles on that cake--I now have, um, many more. I am so happy in that photo, and I still carry that joy in me. No matter what has happened in my life, I still have that outlook that you see on my face in this photo. I have been exploring a new path for me. In the mean time I haven't posted here because I'm trying to decide just what I'm supposed to be doing in my own writing, with this blog. I am having a hard time trying to think of what to write. I am rereading Anne Lamott's Bird by Bird. This time of year has me 1. melancholy, missing my mother 2. missing my extended family 3. reflective 4. Still thankful and joyful about my life and family. I have two good friends who told me to just take December off from reading, from blogging, from building my own writing, and I am as much as I can. I do know that I need to change a few things. I am all out of When I Was Just a Kid interviews, too, by the way, so I may start moving some of the ones I have on Chat 'n' Chew that I did before I opened the Kid blog. Start looking for that in the coming days. However, if you know someone who'd like to do an interview, please send them my way! Would love that! Happy birthday Little Crissy! (No one called me by my real name, Crystal, until I married a Chris--and my mother was delighted, I think!) Happy, happy, joy, joy! I'm not getting any younger. Still, I've lived pretty fully up until now. As I finish up some responsibilities this month, I'm thinking more and more about "what next?" I think somehow in the last few years I landed on the wrong planet and I've got to chart a new course. I want to explore the space in my mind. What lurks on the darkside of my mind--that unexplored space? Who would I have been if I'd gone in that part of my brain instead of this side of my brain? I'm going to find out. It could get pretty hairy. But that has never stopped me before. My friend, Nancy, has this blog I read every time she posts. Her insight and humor just lift me to places in my soul that I didn't know existed. This is a You Tube she had on her blog that hits me right where I live. I should just watch it everyday! I would be a better person, I think, if I did. Makes me laugh every time. Many of you know that I work in the Christian fiction market. I've sorted through many a manuscript and have published reviews on over 800 Christian books (and that's not counting all the books I've read to get those!) I read. A lot. Anyway, right now in the blogosphere there are some people talking about what makes a book Christian? What are the Christian publishers publishing and why? Interesting thoughts. I don't know that there are any easy solutions to what to publish, but I do think it is going to become a hot issue as we head into 2009. Anyway, I thought you might like weighing in on two blogs asking "What Makes It Christian?" And I'd love to know, do you read Christian fiction? If so, name your top 5 Christian fiction books this year. I'd really like to know. 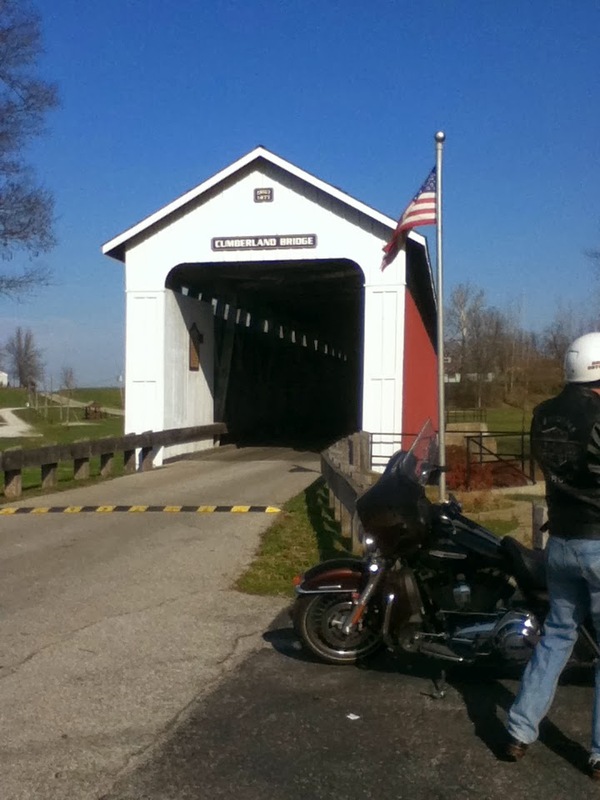 and on Indiana ACFW member's Cara Putman's blog The Law, Books and Life. Good stuff being said.This is a hot topic, fer shure. I do think Kelli Standish (on Karen Ball's comments, scroll down on the most recent post) makes a very, very good point about the difference between a Christian fiction book and a book in the mainstream general. I think she has hit on the differences. Do look through the past posts as this topic has several posts. I think this topic is heavy on the minds of all people in Christian publishing right now because everyone is talking about it. Did they take a poll on this? It's been a long time since I've seen that movie, but if dead men don't wear plaid, then this is not the season to die. It appears that plaid is the fad of the season. Now, when I was a young tender thang, I wore a lot of plaid. Our high school adopted the tartan plaid of the Clan Campbell of Scotland. We were (and it still is) the home of the Mighty Argylls. We wore an Argyle plaid. We also wore plaids of black and gold. Loved that stuff! I was pretty skinny back then, so the plaid was a good thing, Martha. I even had plaid socks. Meanwhile, years have passed and not always so kindly to me. Look around you--plaids are even on your underwear. I kid you not. I suppose I can take a plaid inside my jacket, or maybe on a handbag. This is one girl who probably won't go for the plaid (although there are these readers glasses in red plaid that has me thinking twice about my NO PLAID AFTER 50 rule.) Most of my tartans and plaids belong on sofas and pillows, thankewverrymuch. But I found myself in a plaid back in the day and decided to show you that indeed, not only was I paper doll thin--but I could wear plaid. So, are you going to wear plaid this season, and if so, what color combos are you leaning towards? I'm sure you are a thankful person. I think most of us are. We have so many blessings and sometimes we do need to be reminded of those things in the midst of troubling times, but for the most part we are thankful. Our Thanksgiving holiday has all kinds of traditions surrounding it with all kinds of stories from both history and our own families. 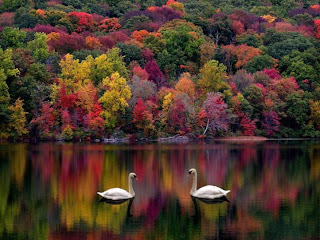 My memories of Thanksgiving usually involve my Cicero, Indiana cousins, the Goolsbys, but sometimes we would go to Tennesssee for Thanksgiving. 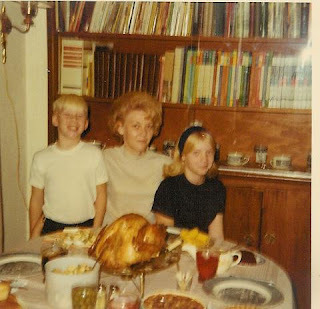 Occasionally, we had Thanksgiving with just my dad, my mom, and my brother and me--like in this photo. I liked Thanksgiving because 1. we ate like fiends 2.the Macy's parade 3. there were no "scenes" played out like on other holidays because my dad stayed home 4. most of the time the weather was still nice enough to go outside 5. I truly was grateful to live in the land of the free and the home of the brave. Then, after we'd had all of our four boys, and we moved into a large house, we hosted the family Thanksgiving. Those are my favorite memories. My mother-in-law, Imy, would come stay and help me prepare, the boys would decorate and that was the best time. I will always remember that sweet time of my life. It never was the same since and I miss the people, the warmth. One of my favorite Thanksgiving shows was WKRP in Cincinnati when the station manager decided to give away live turkeys--and dropped them like sacks of sand from a helicopter at a mall. 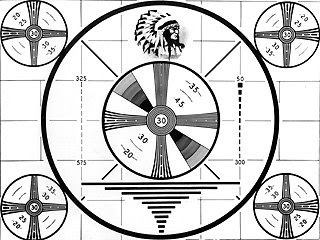 Les Nessman reported and it was pretty awful. That was a funny show. What's one of your best memories of Thanksgiving? What are you most thankful for this year? I've never been too fearful, even when I've looked violence and evil in the face when attacked. I live in rural America. Bad things do happen here, but usually not the intimidation experienced at the voting places and the threat of violence toward those who think our country's Constitution is good as it is. I stood in line today for two hours with a police officer, a guy whose yard is full of the opposite party's propaganda and whose wife taught my kids and his kids did school projects with mine,a doctor, a college kid with a sharp wit, a beauty operator who had to leave line to go do someone's hair, and dozens of others whom I've known since I moved here. We chatted about motorcycles, kids, medical issues, the fact that in all of our years voting that we'd never had to wait so long to vote! But today I looked fear in the face at the polls. Teenagers, out of school(from my son's class at the high school) sitting in front of the fire station (educational experience?? ?I think not, but hey) where I vote, jammed a basket of Tootsie Rolls in my face. It came at me with both barrels. My stomach growled. Did I even eat breakfast? I couldn't recall. Should I cross my party line to accept Tootsie Rolls? The other side ran to get water bottles at the only gas station in town next door. Now, if he'd have thrown in the handbreaded tenderloins from the gas station (known to be the best,)I might have caved. At that moment a lady, overcome by excitement, unseasonable heat or the 2 hour wait in tiny Matthews (population less than 400,) hit the ground. Fortunately, the ambulance was right there. I hope that she was ok, and prayed she would be fine as they loaded her onto the cervical board. They took the 15 mile trip with sirens blaring. We went back to our chatting and waiting. I soon passed the Tootsie Roll station in the two-hour wait line. I haven't seen that many people in Matthews since the Covered Bridge Festival. If we could bottle the people in Matthews and could get you to drink our Kool Aid, there would be no need for this hatefulness I'm hearing about around the country today. I have never prayed harder or more frequently in the past as I have for this election. All of my boys (except the too-young high school kid) and my husband and I voted today. We feel a need to at least have our say. I hope it is not the last time we have a free election in this country, but no one knows what tomorrow morning will bring. I do not fear tomorrow because I know Whom I have believed and am persuaded that He is able. But, my flesh is sometimes weak, and I do like Tootsie Rolls. And when you are done with that, try this quiz, that is really a lot of fun,and maybe it will relieve the tension that this election is causing. What's the strangest thing that you eat? I had a college roommate whose honey lured her to marriage by bringing her radish and butter sandwiches. I'll have to think a bit what I eat that's strange. Maybe it was this stuff called "Numeat" when I was a kid, which was a vegetarian sandwich spread that came in a can and was white-looking. (I have never found it as an adult.) I also really like Lay's Potato Chips with Red Gold catsup. In my former life I was an educator. My favorite part of my job was to analyze my students--how they learned best, what they were learning, how to reach every one of them. If I had a student struggling, you can bet I was dissecting them to see what the hold up in the learning process was. My style and approach was sometimes different than my colleagues, but I got the job done. I took learning styles/theories classes and read countless studies and books on the subject. I even presented the subject to my fellow educators on the topic. Now that I'm working as a writer and editor/reader/book doc, I can't help but apply these same principles and knowledge in working with authors and editors. And I'm always on the lookout for new tests and analysis. Try this work test and see what suits you in your work style. It may help in writing or knowing what direction to go. You are an analytical type—a rational knowledge-seeker. You perceive information primarily with your intuition but heavily depend upon logic for making your decisions. Jobs to consider: event planner, trainer, media planner, sales manager, marketing manager, advertiser, technical writer, editor, new business developer, strategic planner, scientist, inventor, engineer, lawyer, judge, military officer, computer programmer, professor, medical doctor or assistant, dentist or dental hygienist, organizer, economist, environmental planner, psychologist, financial planner. Obviously, it is a general overview (covering several types of the Myers-Briggs,) but it gives you a direction to take. Let me know what your results were! I Love Your Blog Awards! This blog and my When I Was Just a Kid blog just received an I Love Your Blog Award from J.M. Hochstetler at >The American Patriot Series blog! I love >Joan for many reasons,(for one she started as a Hoosier, and she also writes great books and publishes others' books, too) which makes this an honor for me. 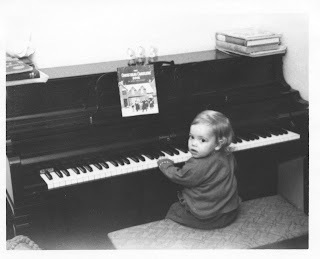 You must go and read Joan's When I Was Just a Kid interview, too, in case you missed it. She has One Holy Night, a novel, out right now, so you need to check it out and look for blogs giving free copies. 1. Add the logo of the award to your blog. This is going to be tough to narrow down to just seven blogs, as I do love quite a few. I may not check daily, but I do go around looking for more interviews and people to feature. You can find links to all sorts of blogs over in my links section--and yes, I do go visit when I can. 1. Nancy J. Ring at Anchors, Signposts and Wanderings. Nancy is deep and poignant and speaks to my soul's yearnings and travelings. She helps me to find the path home. 4. Dr. Richard Mabry at Random Jottings writes about a variety of issues in writing. He's been a successful M.D. and now has launched a writing career, writing articles and fiction manuscripts. (He even did an interview with me on his blog, and now it's been accepted at Christian Communicator magazine.) I can relate to him and his journey. Good blog. Lots of interviews, writing news and indepth insights. 7. 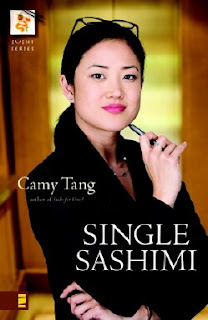 Camy Tang is a fresh new author with a three-book series out called, The Sushi Series. You will just love Camy. One of my favorite parts of Camy's blog is when she cooks or knits--and shows the photos. 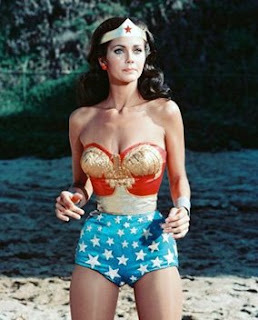 Along with her husband, Captain Caffeine, and that Wonder Dog, Snickers, what is not to love? Just plain fun. And if you need help with your writing, be sure to check out The Story Sensei. You still have time to win her Single Sashimi on this blog by entering a comment below, deadline October 31. Check out some of the other people in my list to the right because I just know too many people and I do go check out their blogs to see what they're up to as time permits. Back when I first started this blog I had one day a week to point out others' blogs. I may need to blog regularly and reinstate that feature day. What do you think? Because I'm leaving out some of my other favorites and favorite people! I may just have a I Love Your Blog Day each week. Stay tuned. Thank you to each one for all the good reading you’re providing for us readers! 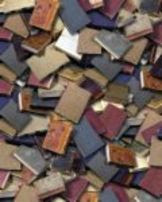 My friend, Sabrina, over at Hijinks from the Heartland, is giving away BOOKS. 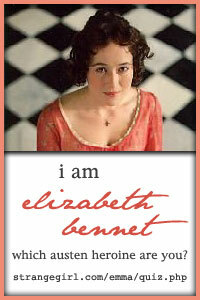 Check out her post and leave a comment and you, too, will have BOOKS. I can't believe her husband let her have bookshelves. My husband won't because he says I just would fill them up with books. Duh. So instead they are stacked sloppily on the floor, in baskets, in sacks and boxes. If I had bookshelves, at least they would be neat and nice. I did giveaway stacks to a public library, two church libraries and to friends. What can I say? I still have books and probably need to do something more, too. In the meantime, check out Sabrina's shelves! As we say around here when we're doing well, I have to say, I'm on a roll with buttah! I won again today. I won the latest release from Krystal Meyers on CD when I left a comment on Joanne Brokaw's Beliefnet column, Gospel Sound Check. Joanne is a freelance writer & columnist who writes humor, too, so if you like hearing about Christian music, you definitely should check out her column at Belief Net. This link to a You Tube video was sent to me by an agent to let us all know how publishing really works. Enjoy the fantasy! Here at the Chat 'n' Chew Cafe' I like to talk about food for the mind, soul and belly! 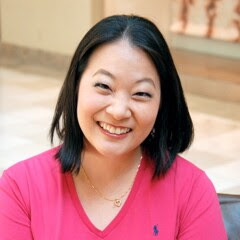 Today we have a special guest, my friend, Camy Tang, who not only can whip up great books (some of my favorites!) but cooks with her husband, Captain Caffeine, too. You can read more adventures with Captain Caffeine and Wonder Dog, Snickers, here on her blog. Hi there! Crystal asked me to write about a favorite meal I prepared for my husband, Captain Caffeine. I should preface this by confessing that I’m not a very meticulous cook. I substitute with aplomb. I add with vigor. I eliminate without qualm. The best dish I ever made I think was when I made the Chinese scallion pancakes for us. We had lots of leeks from the organic co-op we belong to, and at a loss for how to use it all (I’d already made soup and clam chowder), I decided to use them for scallion pancakes, but with leeks instead of scallions. They actually turned out better than expected, because the leeks have a sweeter, milder flavor that paired well with the fried pancake. To see the complete step-by-step recipe story with comments from Camy, go here! And the recipe is here at About.com. It’s REALLY easy (another reason why this dish was so great) and it’s authentic Chinese food without weird ingredients or strange equipment. You can splash some soy sauce over the pancakes when you’re done if you prefer, but we ate them plain. This is Snickers, Camy's delightful dog, who waits for her to drop the crumbs! Read an excerpt of Single Sashimi (.pdf) here! Bonus features: Click here for blog posts about "extras" for Single Sashimi! 9/12 Gina Welborn makes me admit who's my favorite "child"
9/17 I’m on Marilynn Griffith’s blog with a fun meme--join in! 9/30 Anne Dayton and May Vanderbilt chat with me about writing and I'm sorry (not really) but my snarkiness comes out. Imagine that. 10/2 Crystal Miller and I talk about my favorite subject, food! 10/13 Laura Domino is posting on the Faithchick chicks--and today's my day! 10/20 I’m guest blogging at Love Inspired author Missy Tippens’ blog about how I make my character voices so distinct. Be sure to check in on each stop for something different about Camy each day and for the great book giveaways. If you wish to enter my drawing for Single Sashimi, leave your email contact in a comment here to be drawn on October 31st. I love puns and word plays. People often talk about how confusing the English language is, but I happen to love it. My sister-in-law,a high level, skilled sign language interpreter, has talked about how important which signs to use to interpret the language is--choice is important in conveying the message. Language is being butchered and convoluted in order to deceive, but in spite of(or maybe because of) all the stress right now, I thought I'd share some fun uses of language. Enjoy. If you have one, please share it! 1. The roundest knight at King Arthur's round table was Sir Cumference. 21. In democracy it's your vote that counts. In feudalism it's your count that votes. 23. Don't join dangerous cults: Practice safe sects! Only TWO people have left comments for Lynn D. Morrissey to win her beautiful prayer journal book, Love Letters to God on When I Was Just a Kid. You only have until Saturday to leave a comment! (Although the two who have left comments are kicking me now...ha.) If you want to start or have ever journaled your prayers, you certainly want to look at this book. Next up will be Sandra Bricker who has a romance from the new Summerside Press, so you won't want to miss that one!! If I were editing this, I'd take out the exclamation marks. The human mind is an incredible thing. When I was teaching school (first grade) many of my students could write their names backwards--like you would see in a mirror. Their parents would be all upset, but I told them they would right themselves in a few months. Maturity takes care of things like that, usually. Knowing the developmental stages of children helps us not to panic. And maturity is not a race, either. I love Mind Benders and brain puzzles. More to come. 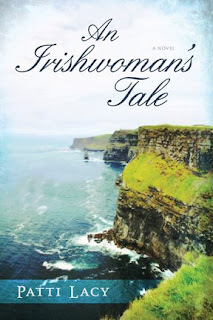 Don't forget you have a couple days left to enter for Patti Lacy's book, An Irishwoman's Tale. Patti Lacy has worked with me in ACFW/American Christian Fiction Writers, so I got to know her cheery attitude from that experience. Then, she came out with a novel about an Irishwoman transferred to the U.S., so of course, I wanted to know more about that as my family has Irish ancestry (Rileys from County Cavan of Ireland.) I talked her into answering some questions about how she does her writing and comes up with book-length stories, and now you can know these secrets, too! CLM: What are three key elements for you in getting into your writing mode? Patti: Oxygen, Nitrogen—sorry, Crystal. I have to tell you science with its logical way of doing things has eluded me for years. CLM: LOL! Try, Patti, try! Patti: Okay. I’ll give it a try. (1) Set a writing goal to instill discipline. My little rule is at least three pages a day. That’s about three manuscripts a year! (2) Pray, asking the Holy Spirit to infuse your writing with truth and grace, before you sit down in your computer chair. (3) Drink coffee or green tea to caffeinize your mind. Patti: A newspaper article, a person in a dream, or a real-life friend grabs hold of my gray matter and won’t let go. When the images keep me up at night, I open a new computer file and label it Novel #3 or whatever, then start adding snippets of information when they float into my brain. So far, my characters have been women with deep, dark secrets that have stained their lives. They’re colorful, edgy, and walk in wet grass rather than on a sidewalk. CLM: How did you decide on your setting? Patti: I take a mental vacation to the places I’ve visited and loved—or maybe hated—and try to include them in my books. New Orleans and Ireland are two of the former. However, my bossy women usually command me to place them where they want to be. Imagine that? Patti: Now we’re talking specifically about An Irishwoman’s Tale, right? CLM: Yes, I really want to know how you came up with such a fascinating story! Patti: Since I fictionalized a true story first told to me on the front porch of my home in Terre Haute,(INDIANA!) part of my heart and soul is embedded in the pages of that book. Since I’ve known the Irishwoman, she’s symbolized friendship and forgiveness to me. That’s about as special as you can get. And after our 2005 visit, the mystical, marvelous country of Ireland grabbed hold of me and has yet to let go. Patti: Oops! I got ahead of myself up there! Definitely news items. It’s also fun to surf the net and look for character and scenery images. CLM: When your well runs dry, how do you recharge your creativity? Patti: I dig through dusty shelves of eclectic CDs and choose something that will set off certain emotions. When I want to be sad, I play Rachmaninoff. Happy? Some of my oldies, like Don McLean, Harry Chapin, Tracy Chapman. Lots of Christian music for pick-me-up times, like Third Day, Switchfoot, Selah. And, of course, Eden’s Bridge and other artists that utilize marvelous minor key Irish flutes and whistles. Patti: God has to direct it or it’s no good. CLM: Where is your favorite place to work on your writing? Patti: My daughter’s old bedroom, which I commandeered when she went off to college. Creamy yellow walls soothe my soul, while Scott Mutter posters and an Angel Ambrose painting inspire. A couple of succulents and an airplane plant oxygenize the room and help detract from the piles of books and pens and notes and envelopes and…Of course there’s a crammed-full-to-sagging bookcase. Patti: Black coffee, green tea, dark chocolate, crunchy nuts. CLM: What's one piece of advice to anyone reading who wishes to write their own stories? Patti: At times the publishing world progresses at an agonizingly slow rate. Try to be patient. Patti: Thanks so much for having me, Crystal! It’s been a blast. CLM: I love your sweet spirit, Patti, so of course I'm delighted to have you. Be sure to go to Patti's web site and enter her September contest! school again. Are you glad you never have to ride another school bus? folders, then polish a perfect apple for that...perfect teacher? Please stop by http://www.pattilacy.com/and visit the news/contest tab to enter the September contest. Far away from her Irish home, Mary Freeman begins to adapt to life in Midwest America, but family turmoil and her own haunting memories threaten to ruin her future. It takes a crisis in her daughter's life—and the encouragement of Sally, a plucky Southern transplant—to propel Mary back to the rocky cliffs of her home in County Clare, Ireland. If you would like to win a free copy of An Irishwoman's Tale, leave a comment with your contact (your name AT your ISP. com) and you'll be entered into a drawing for it. Be sure to leave a comment by September 12th! On the Career Builder site today there was an article about colors and how they can show your leanings and preferences in career building. I'm slightly past the day when I'm looking at my first career, but I am working on the career for this stage of my life. Tests like this always fascinate me. Kids today have so many resources to discover who they are, how they think and where they should be going on their career path. The Dewey Color System® is the world's first and only validated, color-based personality career testing instrument. Based on our experience and your interests, your best suited occupations are listed below. I have been a dessert girl, ticket checker, assistant to a university president secretary, preschool teacher, elementary teacher, P.E. teacher, a coach, a Bible study leader, book reviewer, acquisitions reader, church children's department leader, executive school board officer, an editor (well, this is also current,) and a writer. If I could go back in time, I would have found the career path to be an editor,I think, preferably in fiction, or I would have been a cartoonist. Anyway, this was interesting and it's something you might think about allowing your teen to take, too, but it can reveal something about you, at whatever stage in life you are in. When I got up this morning, I knew it was going to be "one of those days" where I have a bad attitude. I went to bed last night with a split little toenail (I barely have a toenail on that toe, anyway) that started to bleed and I had to bandage it, sticking it out from the covers because even the sheet hurt, and my feet were cold to boot, which put me in a bad state of mind going to sleep. (ha, "to boot.") It could be worse, but I'd like it better. So I pray my usual short prayer to get started in the morning, all in bad attitude, step out of my bed, and limp to get dressed. I take the dog out after putting my coffee on. It smells "funny" out. I live in the boonies, so I'm not used to "funny" smells. Almost a chemical smell. I can't figure it out, which gets me to thinking negative thoughts. It's not skunk, cows, horses or even my dog smelling.Not the usual organic smells that I have learned are the "norm." It's something else I don't recognize. I come back in the house. I forgot to put in the thing that holds the coffee filter, so my coffee pot is a mess and what did go through is weak and crummy, full of grounds. I drink it anyway, and read my paper, crunching my coffee. Maybe the smell outside will go away. My youngest son is a senior in HS this year. He awakened with a sore throat this morning and barely was speaking. I made him some tea and honey and dosed him up with meds and sent the poor kid to school. I'll be thinking of him all day. He is taking an EMS course this year and will learn something else new to rescue someone. Who takes care of those who take care of the world? Now you know. A woman at home with a bad attitude( and a chemical smell outside) who is randomly writing in her blog as she crunches her coffee. I have four boys who each have a great sense of humor. They can make me laugh when I'm standing on the cliff's edge. This morning in my bad attitude jacket I got to thinking about them and missing how they were always here to drop funny lines and jolt me out of bad attitudes. Now they are in the world talking others out of having bad days. I was just starting to think I had done nothing for the world in my lifetime and that I was wasting away in this "place" (which I have a bad attitude about this "place," too.) But as I watched my youngest slip out the door to make his classmates and teachers laugh another day, even though he felt not-so-good, I realized I'm not in the grave yet and I've got four guys out there brightening their own corners. That's when I saw this photo. 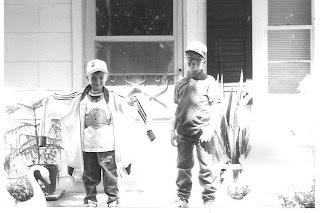 It's of my two youngest boys at my soon-to-be 93-year-old Grandmother's house in Tennessee back several years ago(when she lived at home, not in the nursing home.) Max thought it was funny when my Grandmother gave him this jacket. Instead of getting all out of whack about it, he was laughing. And he always had this attitude that he would "grow into it." So, I suppose I need to try on the jacket of good attitude, laugh that it's too big for me today, but I'll "grow into it." Just accept it. And with that thought I'm ready to write some more today, me, in my too-big for-me Good Attitude Jacket, shrunk underneath in my Bad Attitude Underwear. Vonda Skelton is a funny person with deep truths revealed in a non-stressful way. She has a book out called, Seeing Through the Lies. Check it out here. My friend, Dave Weiss, has amazing talents and profound thoughts, and he just did this You Tube about how you matter. The World Is a Puzzle and You're a Piece of It! What do you do with your time? Ok, you say,"I work, eat, sleep, clean,drive, talk, cook, shop,groom, feed the dog/cat/horse, eat (oh, wait, I said that,)" ....what else? I've heard my fellow writers complain how the real world people don't understand that when they are writing, they don't have time to do other things. This usually gives a real world person an invitation to impose or request on your time. If you are a writer, have you heard any of these comments/questions? "Oh, you're not doing anything. Could you pick up my child at school?" "Oh, you're not doing anything important. Could you go let my dog out?" "You keep writing all these articles. When are you going to write a book and be a real writer?" "I see you have a romance book. When will they let you write a real book?" "Since you're not doing anything, you can head up the chili supper." And the beat goes on. Writers get no respect. Writers have to commit to a rigorous schedule and even when a writer is "doing nothing," he is writing--picking up a bit of dialogue, working out a plot point, building a hero. Time is all good to a writer and even the bad day isn't wasted on him. He was sent to hard labor in the Gulag because of something he wrote. He paid for that writing, but he never stopped "writing" even though he didn't have ideal conditions to write (it stayed in his head at this point.) 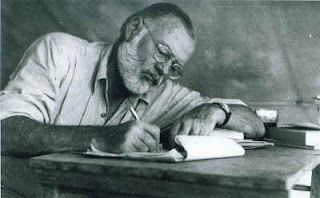 When he was finally released, he had to write in the dark of the night, and bury his writing each and every day. It is scary to write--whether you are writing a 600-word article, an 150-word book review, a 400-page novel, a letter to the editor. Writing requires you to reveal something about yourself. You are at risk somehow. In light of Aleksandr's road to being published, hearing someone say, "Oh,if Crystal can do it, anyone can!" doesn't sound so harsh. Maybe the hardest thing to do of all is show that writing to a reader. If you write it down, it begs to be read. I always joke (half-seriously) that I would read my friend's, Paula from Alaska, grocery list. I would prefer to see her books and writing in print, but I will wait. I love to read and I have put off my own writing at times to read someone else's writing. Yesterday, however, I was struck by my time growing shorter, and for me to put down those stories I was afraid to tell. I made a new outline, wrote some things down, and am committed to finishing that particular story. I have another one I will finish first, because I said I would. If you are a writer, you are brave. Go write. This fall there will be new Christian romances coming off the presses at Summerside Press. As it gets closer, I may be telling about some of them. Here's the movie trailer for one of those, Love Finds You in Snowball, Arkansas by Sandra Bricker. 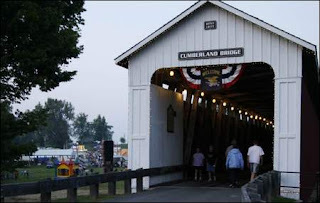 Each book will be set in a town somewhere in the U.S. Sandie's interview on When I Was Just a Kid will go up at the end of September, so be sure to check in on that, too! Ok, I still haven't figured out how to take photos with my new cell phone, called a "Chocolate." My kids roll their eyeballs straight to the ceiling. It holds a charge pretty well so now I keep it on all the time. I got a text message and was able to send one back----sl----o---w---l---yyyyyyyyyyyy. I type fast on my keyboard but not on that thing! I have a phone like the one above but it no longer is hooked up. I'm not sure if it would work. Back in the day when phones like that were the norm, you were on a party line. You could secretly pick up the line and listen in on someone else's conversation, unless they heard you, or you could call a neighbor for help, unlike before you had a phone. Times sure have changed. For example, while on 465 coming around Indy on Sunday afternoon, a woman was traveling speed limit in the Indy 500, er, I mean, the third passing lane. We were nearly beside her in the middle lane. Some guy comes up behind her, honks his horn, and acts mad, moving his lips rapidly. (I could watch him as I was in the back seat. )Finally, she moves ahead of us, so the guy swerved quickly into our lane, nearly causing an accident with us, and then he dove in front of her trying to cut her off. He then sped away--sort of. The lady he was so angry with, nearly causing major accidents because of his road rage? Well, she had a cell phone and wasn't afraid to use it. She filmed the incident with her phone, and then you could see her punching in numbers and talking on the cell. I assume she reported his road rage and his speeding and reckless driving. I felt a sense of justice as I watched her. Not exactly a party line, and not exactly great, I realized, because I could never do what she did (I mean, I couldn't do all that with my phone, even though I would wish that I could! )But it did get me to thinking how a story set today has completely different ways to be plotted out. I saved this incident I observed to my files. It's been a rough day. I think I'll turn off my cell phone. Chocolate should be something you eat. I think that is the kind of chocolate I could use right now. I thought you would like to see the house I was talking about in a previous blog of West 11th Street. I grew up here from age 6 to 11. I vividly remember this house and the neighborhood. It often haunts me in my dreams. I have desperately been trying to connect to my own writing. Having worked on all kinds of things in the writing field, I left the original intent I had to write my own stories and life, and tried to fit "the market." I started this blog in an attempt to regain that voice that I originally had. I don't know that I've accomplished it. However, the last few days I've been going over my notes from the Midwest Writers Workshop, and found that some of that came back to me in this conference. As it has happened so often, when I start to connect to my own voice, I end up on West 11th Street. It is a place just flooded with things that burst in my senses--tastes,sights, smells, feelings, sounds, emotions, curiosity, laughter, tears and the world. My street was a minature world of various cultures and religions and mores. Other places we lived weren't so invaded by other people as this place was. I think part of it is that there was so much conflict on this street, and I was able to observe it and sometimes be a part of it, whether I wanted to or not. So, somehow I know that when I write, I have to have something of West 11th Street in there. I don't know at this point how it will show up in my writing, but I finally accept that it must happen. I'm working on a cozy romantic mystery, but it's been tough going. I realized that I wasn't really being authentic to myself while at this conference. I can't pinpoint the precise moment, but maybe it was while listening to Brent Bill, Jeff Stone or Sally Wright or Lee Lofland or Shirley Jump. Or maybe it was while talking to Cathy Shouse or Charlotte Shepperd or Doc Hensley or Jude Urbanski or Dee--somewhere in that letter soup and many I've left out, is where I had an awakening--again. With all that said, I still have this great desire to help other writers. I will continue to incorporate that into my own writing, or maybe try to keep that separate somehow. But my quest is to finish that manuscript that resides on West 11th Street. Maybe not with this manuscript currently, but the next one. But soon. I'm old, you know! I've worked on a lot of love stories--from the other side of the desk. While my role was small with these love stories, it's still fun to see them when they finally come out. To say that I've had technical difficulties this summer with my internet is an understatement. Finally, we have issues resolved and I was able to stay online long enough to post a full interview with kid photos. This is something I love writing and doing. My latest interview is with funny woman, Vonda Skelton. I hear so many voices in my head that sometimes I'm lost in the confusion. Shirley Jump says, "You can fix everything but a blank page." She's right. I fix other people's pages--their topic, their characters, the voice, the plot and I listen. I listen to the writer intently until his voice becomes my voice, his thoughts, my thoughts. So, sometimes I write--nothing. I can ignore fear. I can even ignore the doubt. But I cannot seem to ignore the other voices who crowd out the voices clamoring to tell me the story that only I see. Someone very wise told me I need to choose what to put into my head and how to fill my day and sometimes I don't do that. I don't choose; someone else chooses for me. I don't know about you, but I cannot write like that. In one of my favorite movies, "Finding Forrester," Forrester tells Jamal "to start with someone else's words until your own start coming." Ok. Haven't I done that?Apparently not. My biggest thing I ignore is listening to my own story. It's there. I remember it, but I push it into closets, boxes, under rugs and into corners. I threaten it if it peeks out. "Don't talk to me. You don't matter. I need to hear these other important stories." They are important stories, the ones out there asking for my time, but my time is ticking for me and never goes back to start. I need to finally listen to the stories that are mine.I listened to them once. When I was in high school and wrote in notebooks. One day, when I went off to college, I stood by our burn barrel and burned each one of them. I still am not sure why I did that. I haven't listened to it in a long time, but every-once-in-a-while I hear a bit of it. Today I heard it again when I read a front page story about a man who was arrested for drugs on which the street I grew up. Yeah. So I listened to the things that happened back there, back then. I had in my brain that we were a nice family, on a nice street...right? Well, maybe not. My mom was the saint of the street, but maybe things weren't so simple and sweet. Not so idyllic. We lived across the street from a truck dispatcher who drank too much and his second wife who also drank a lot and was addicted to narcotics. They lived next to a woman who had four little girls, and she worked as a cocktail waitress at night--and the girls stayed there alone. She slept during the day and the girls were always outside and the youngest always had a runny nose. She had never married and rumor had it that she made money other ways, too. Maybe so her girls would eat. The oldest, who was under 12 and near my age took my birthstone ring that my grandmother gave to me one day when we played in my room. She showed it to me, the band cut so she could wear it on her thick finger. When I said, "Hey, that's mine," she ran home. My mother chose to just let her have it. Next to them were a family of five whose kids left all their toys outside, including clothes sometimes. We had a dog who used to bring it all and leave it on our doorstep each night. We had to go around the neighborhood asking, "Is this yours? "On the other side of us across the street from our corner was a really nice family of four who were Mormon. They kept to themselves. Their two teenage daughters babysat me when a kid from down the street hit my brother in the head with a hammer and mom took him to the hospital. They came over to play with me as I laid in our hammock when I had stepped on the sharp dog's bone and got blood poisoning. I had to leave my foot up high. My brother and I often sat next to the fence between our house and the couple with no children who had an above ground swimming pool, but were hardly ever home. They never said hello to us and I think didn't like us watching them. I tried to imagine what the inside of their house must be like because they seemed glamorous, like movie stars. Down the alley was the mean drunk who used to come down the alley and threaten my brother and me and our German Shepherd, Rin. One day he cussed us out (we never said anything, just watched him with alarm as our dog threatened to come over the fence to attack him) and he threatened to kill us. My dad was home that day and the man got a visit from my dad. Let's just say that my dad was a very scary guy and we never saw that man walking by ever again. I can only imagine what he said to the man. In that same alley directly behind us was a two-story brick church--Pentecostal. The people never said hello to us, never invited us to join them, never even looked at us. I would listen to their Sunday morning singing and sometimes when the windows were open I'd hear their strange language that filled their ears with some sort of passion, but meant nothing to me. 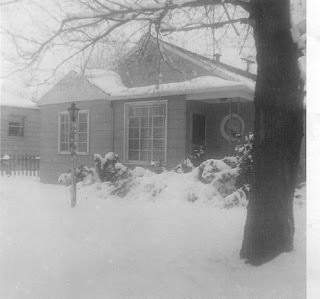 We had a white picket fence, a grape arbor that my mother made grape jam and thick,sweet juice from, a vegetable and rhubarb patch, a sour cherry tree, apple trees,a peach tree and peony bushes. We had a swingset that I think I played on every day or so it seemed, and plenty of trees that my brother climbed in and "flew" out of, wearing nothing but my opaque tights, undershorts over that and a Superman cape. We had a wading pool in the side yard that was surrounded by a chain link fence where we kept Rin, who liked to climb on top of his doghouse like Snoopy. He was the wonder dog who tore up my brother's new winter coat when he wrestled with him and who we would sneak treats and petting to through the crank out windows in the dining room. My mom knew why he jumped with his muddy paws on the windows--he wanted us to come play. My dad parked his semi truck in the front, but our car was in the carport along with our bikes, which someone stole my banana seat purple bike from there and I never had another cool bike like it again. I cried for days about it. My dog, Candy, the Pekinese, went outside from that door and often stayed out there. she was old and never went anywhere. All these kinds of things demand my attention. I think about that little girl I was then and all that I saw and knew about this street, about the time. I went to a private church school and Sabbath school, which was like no one else I knew on this street. The story that sings in my brain and demands attention is on this street. But I ignore it. I think, "I should write this or that," but I don't know if I should write any of the story of West 11th Street. There is no secret to writing. If you are looking for the magic or the secret, then you look in vain. Despite anything I've told you, no matter what, you must write anyway because if there is a secret, it's not really a secret, but in plain sight. Write and listen to the voices who demand to be heard right where you know. Write even if you do not know what to write. Write anyway. I remember the day on West 11th Street when the African American woman stabbed someone and then went on a "rampage" all along the street, lashing out and running, avoiding the police who talked in monotone on the police scanner. I am not sure now if she was drunk, on drugs or had a mental instability--or maybe someone was hurting her and she just couldn't take it anymore. That could happen on West 11th Street. These are all people I remember most vividly in my life, whom I have tried to forget, and tried to not think about any more. Then today one little line, "arrested on West 11th Street" brought it back like a flood. You can't fix a blank page. Write. Anyway.